I hope you are all doing well ! Yesterday I received a package which I ordered from the website Mount Oberon. A website which sells a lot of casual/outdoorsy clothing. That’s why I thought it would be fun to do a quick post on my purchase. And here they are, my beauties! My Pebble snake Vans! My eye balls were on these shoes a long time. And I finally gave in and purchased them. These shoes may not be everyone’s cup of tea, but I love them . I love the sparkle and they can jazz up a any outfit. 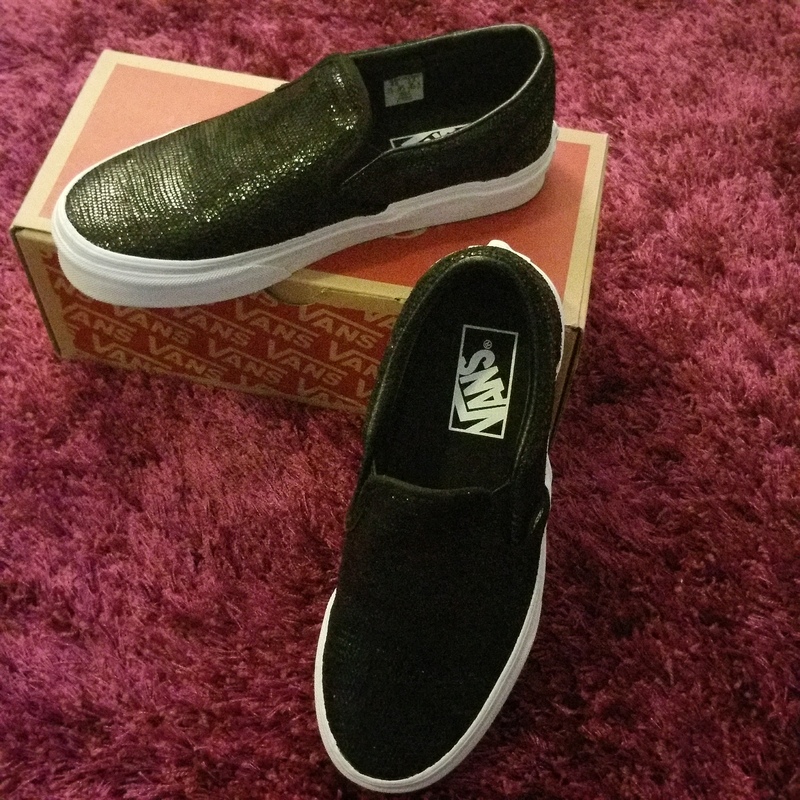 I just love the Vans brand and OMG their slip-ons, are so comfortable yet fashionable! I hope you all liked my quick post. Please let me know if you liked it. Click here form my last post. Until the next post. readers. i LOVE them! i must check it out! were they expensive? Also will you check out my outfit & share thoughts? 🙂 thx! Hi, Thank you for liking them☺. I paid 79 95 euro’s for them. Although the Vans site had them on offer. It was a discount of 35 % or so. Unfortunately they did not have my size anymore because I was in yes no state of mind. So you might want to check their site out first. Thanks love! Yeah I’ll def check it out! Thank you for your lovely comment ☺! Yes I saw the grey ones too. Also very nice.